The HS110 Smart Wi-Fi Plug comes with energy monitoring, allowing you to monitor real-time and historical power consumption for your connected electronics through the Kasa App. Receive weekly and monthly summaries to define which devices are using the most power. Closely monitoring power-hungry devices can help you better manage energy usage in your home, ultimately saving you money. The HS110 allows you to create schedules to automatically power on or off your home electronics and appliances at anytime. You can create a schedule for each device any day of the week, or customize it by a specific time in a day. Scheduling also helps you to keep energy bills low by prevent power hungry devices from being left on longer than needed. Make your devices run on your schedule, even when you’re not there. Your smart plug can be controlled through your existing Wi-Fi network via the free Kasa App*. Download the app to your smartphone or tablet and have access to turn your home devices on/off, set schedules, and monitor energy usage The Kasa app allows you to add as many smart plugs as you’d like to keep track of multiple appliances, whenever, wherever. 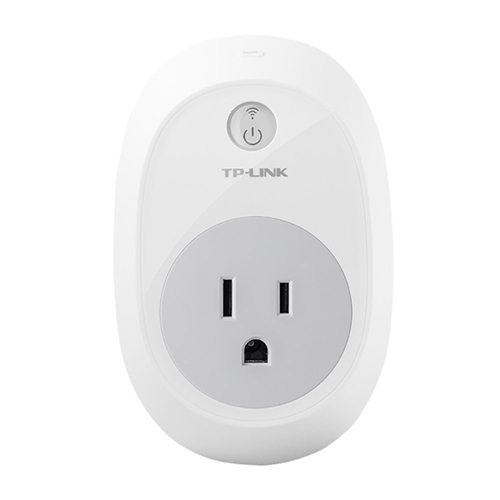 Have the smart plug work for you and enjoy peace of mind when you’re out of town. Connecting a lamp to your smart plug can provide home security benefits. Set it to Away Mode, and the smart plug will automatically turn the light on and off to give the appearance that someone is home. No more wondering if you left your appliances on. You can monitor all of your connected devices and power them down. Plug in your humidifiers, dehumidifiers, air conditioners and space heaters to keep your home comfortable without running up your electricity bill. You know when the devices need to run, so don’t count on their built in timers. The smart plug gives you back the control. You can monitor their electricity use directly and adjust their use accordingly. 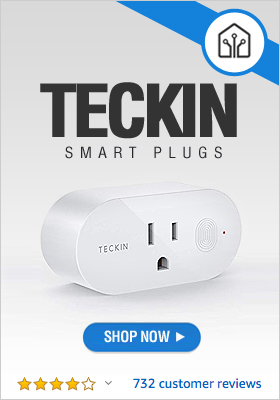 Get Your TP-Link Smart Plug Now!